Distributor / Channel Partner of a wide range of products which include floor degreaser and kitchen degreaser. 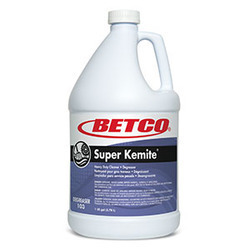 Designed for tough jobs, this product takes over where all purpose cleaners leave off. Formulated to instantly dissolve and emulsify heavy grease, carbon deposits, rubber burns, oil, ink and dirt accumulations. Just spray or mop on and rinse it off. Our offered Kitchen Degreaser combines concentrated properties, specifically formulated for industrial and commercial kitchens, to degrease and disinfect surfaces for total sanitation. It offers superior performance cleaning/degreasing by a synergistic mixture of natural citrus solvents and a totally unique surfactant system.